I have always been an introvert. As a child, youth, and young adult, I would roam around alone for hours, and hang out by myself all the time. I would get lost in my own thoughts and quite often get into trouble with my teachers and mom for daydreaming in school and at dinner. At times my thoughts would turn into negative self talk and then the loneliness would set in. The loneliness was so deep especially when I was a teen, that I wondered what I was even doing here on this earth. Like would anyone really miss me if I were gone? Those were some dark and sad days and I still feel lonely at times, but I know better now that that is my queue to be by myself and value my own company. I know more now that it is okay to be by myself and that this treasured time alone is so good for me! Since those dark, sad, and lonely days of my youth, I have gotten to know myself better and now enjoy and even love my own company. I have yearned for sisterhood. I have my own sisters and women in my family as well as my bff, but I wanted and needed more, I wanted a TRIBE! Low and behold, Spirit led me to Sacred Women International. In 2017, I began a year long process called Sacred Leadership Training. Believe me when I tell you, I did not even come close to understanding what I was getting myself into! 2017 was the year my life changed! I was given space to do some deep soul searching work and the love that I had for my own company led me to further discover my very own essence, place of joy, peace, and light that exists within me. I connected with a sisterhood like never before. A deeper understanding and knowing of self led me to deeply valuing Sacred Sisterhood in ways that I have never ever experienced before. I am my sister’s keeper turned into I AM MY SISTER! I am so grateful to Sacred Women International for this new way of leading self to lead others. SO powerful! I come from a very large family of mostly women and yet even though we are family, I feel like I want more meaningful connections with them, and that it is okay to wish for more. Perhaps with family and our history, we can always pick up where we left off and there is an unspoken understanding that we will always have each other’s backs. I am exploring this and know that like tending to a garden, I feel that trust in relationships are fostered and grown. 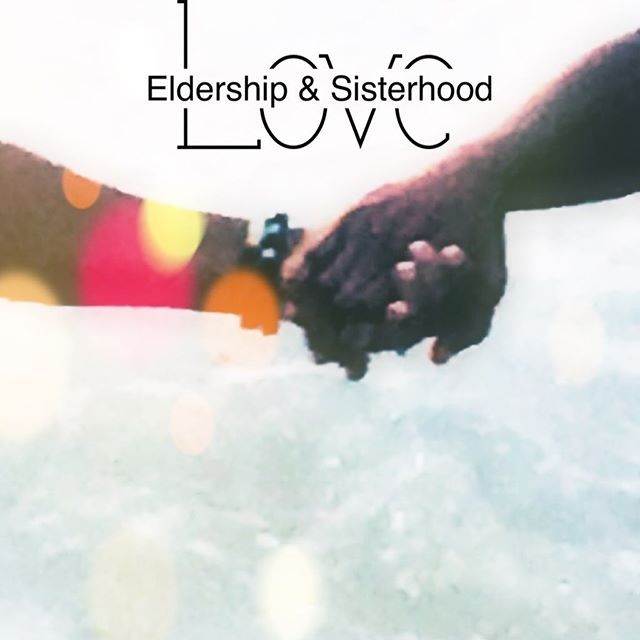 So, when I asked Spirit for more sisterhood, I feel that I got to choose Sacred Sisterhood. When these beautiful Sisters came into my life, other women showed up in my life and more deep and meaningful connection came to me. I know that Spirit was at work. I know that my Ancestors led me to my Sacred Sisters. I continue to work on uncovering my essence, stand in my power, and use my voice to express my boundaries with love, patience, and empathy. I am not always successful, but I am aware and that is a great first step! I am unlearning and unpacking some past patterns that do not serve me and I am learning to courageously open my heart for love from women who honour my spirit. It is an amazing journey and at almost 48, I am finding my tribe. I am so grateful for this time in my life to see in others what they see in me. Next up, I will be opening up my heart to writing a personal essay for Kaur Space on how I navigate inter-generational trauma as a 40+ daughter and mother. These traumas are very much a part of my dark and lonely spaces and where my mom may have not been given the platforms or safety to face it, I have this beautiful opportunity to face them, move through them, heal and move on! Facing the traumas of generations of women in my family who have come before me, as well as my own, does not feel so daunting when I have been given Sacred tools, I have Sacred Sisterhood, I have family and my own magical essence and power, Spirit and Ancestral Wisdom enveloping me. This time is such a gift from Spirit to heal, shed light on the darkness, rebuild, reconnect with self, and break the cycles for my daughter and son. I am eternally grateful for these gifts!